TO MAKE PEOPLES LIVES TRULY CONVENIENT WE ARE NOW OFFERING FULLY WIFI INTEGRATED PANEL HEATERS, WHERE THE HEATERS CAN BE CONTROLLED WITH A TOUCH OF A BUTTON ON YOUR MILLHEAT APP. BY USING THE APP YOU CAN CONTROL DIFFERENT LOCATIONS (HOME, CABINS ETC) AND AS MANY HEATERS AS YOU WANT. THE APP IS FREE AND THERE ARE NO HIDDEN COSTS. The programs are controlled by a "drag & drop" function that makes it intuitive and easy to add more modes. Swipe up and down to adjust the mode blocks. Activate advanced away mode to lower your energy bill while you are away. You set the time and date you leave and return. The temperature will be kept at the desired temperature of your choice in your whole house while you are away. 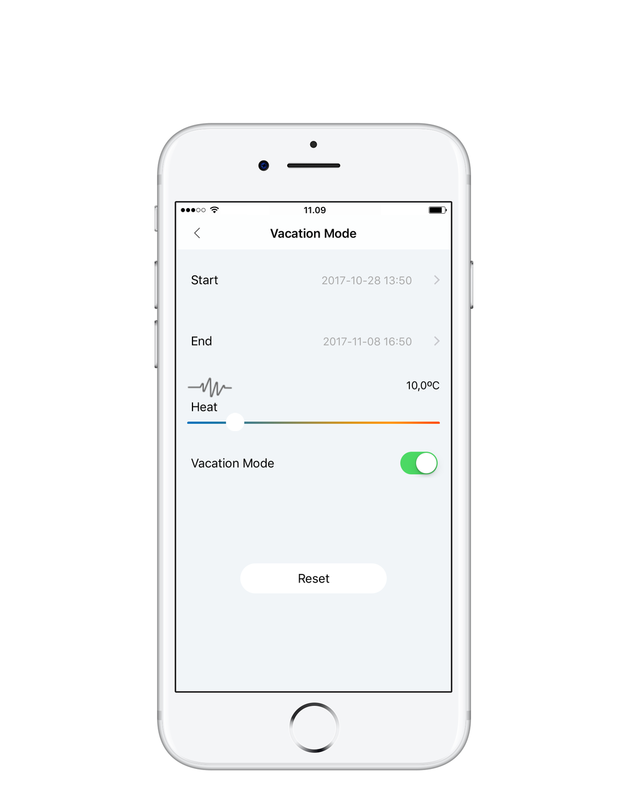 When you get back home the Millheat app will automatically increase the temperature again, and you will get home to a nice and warm house. All heaters connected to the same room will follow the same program and the same desired temperatures set for that particular room. You can of course use the same program for different rooms, eventhough the temperature settings might be different. The temperature shown at the top is the registered temperature for the room (if more than one heater, the Millheat app will show an average of the registered temperatures). Override the program for each room if needed. An override will not edit the program and will go back to Normal mode after the desired time set for the override. The device list button at the bottom of the screen directs you to a list of all devicesconnected to the room. Swipe right/left to switch between rooms in the house. The Millheat app gives you freedom to control your heaters from anywhere in the world, at a touch of a button. 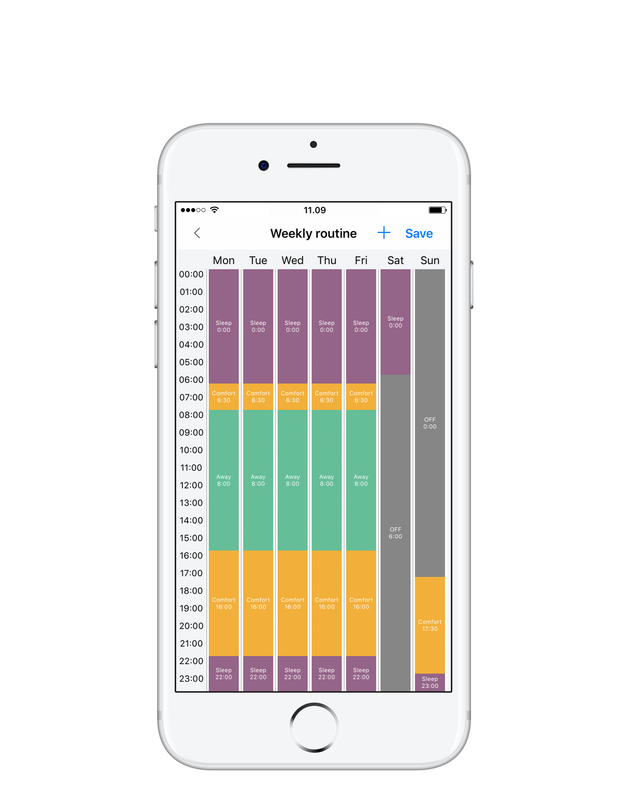 Just tell the app your normal schedule and it will adjust the temperature automatically for you, making your life easy and comfortable. The app is built in a way such that each heater that is installed will be connected to a house and a specific room (where a room can consist of one or several heaters), or as independent heaters that can be moved between different rooms. Control your heater independently by not assigning it to a specific room and program. This gives you the freedom to move the heater between rooms, according to your needs. "Open window" function that automatically turns off the heater if the temperature sensors registeres a sudden fall in the temperature. The heater will start heating again automatically after 10 minutes. The heaters (AV and NE series, Convection SG1200WIFI, Oil Premium AB-H1500WIFI and WiFi Socket) have an integarted WiFi module. This means that there is no need for any hub or changing the thermostat. The heaters will connect directly to your WiFi network. Please make sure your WiFi router has sufficient capacity of number of active devices connected to your home network.